TALENTED filly Miss Halfpenny should have little trouble rounding out her New South Wales Oaks preparation with a feature win on Sunday. 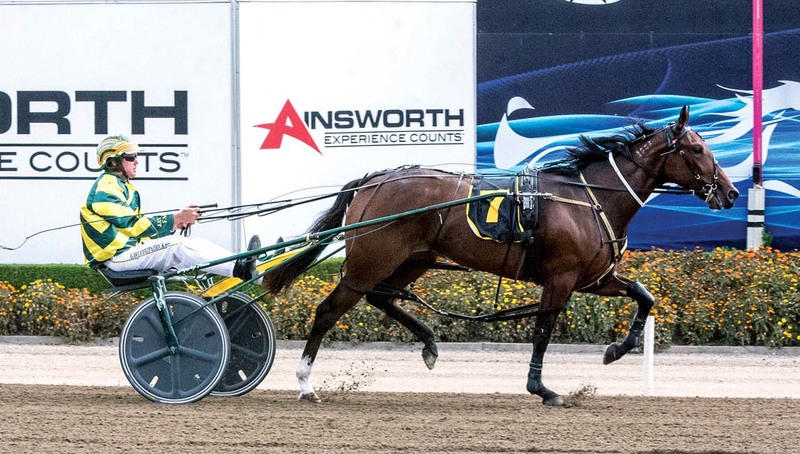 Being primed for the Blue Riband heats at Tabcorp Park Menangle on February 23, Miss Halfpenny is set to contest the Canberra Oaks for trainer Paul Fitzpatrick. A last start winner when second-up from a spell, the Australian Pacing Gold purchase has drawn to lead throughout from barrier three. “It’s a good draw,” Fitzpatrick said. “Not only does she have the chance to use her gate speed to look for the lead, the other strong chances are off the second line. “She’s feeling terrific after a couple of runs back and is ready to run a big race. Citing Write About Lexy as the one to beat, Fitzpatrick is also weary of Rise Above This, which is a recent addition to his son, Blake’s, stable. A winner at Bathurst three weeks ago, Write About Lexy will begin from barrier nine, with Rise Above This to come from gate eight. “Write About Lexy is a nice filly and has to be regarded highly,” Fitzpatrick said. “Blake just got a new one from New Zealand which has had one start for him for a win and seems to go pretty nicely.